August 15, 2018 Lehigh Valley IronPigs released RHP Steve Geltz. July 25, 2018 Lehigh Valley IronPigs placed RHP Steve Geltz on the 7-day disabled list. February 10, 2018 Lehigh Valley IronPigs placed RHP Steve Geltz on the restricted list. 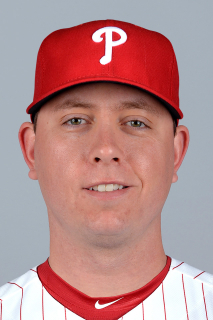 January 3, 2018 Philadelphia Phillies signed free agent RHP Steve Geltz to a minor league contract and invited him to spring training. January 3, 2018 RHP Steve Geltz assigned to Lehigh Valley IronPigs. January 3, 2018 Lehigh Valley IronPigs activated RHP Steve Geltz. November 6, 2017 RHP Steve Geltz elected free agency. September 20, 2017 Oklahoma City Dodgers activated RHP Steve Geltz from the 7-day disabled list. August 12, 2017 Oklahoma City Dodgers placed RHP Steve Geltz on the 7-day disabled list. July 22, 2017 Oklahoma City Dodgers activated RHP Steve Geltz from the 7-day disabled list. June 17, 2017 Oklahoma City Dodgers placed RHP Steve Geltz on the 7-day disabled list. June 6, 2017 Oklahoma City Dodgers activated RHP Steve Geltz from the 7-day disabled list. May 7, 2017 Oklahoma City Dodgers placed RHP Steve Geltz on the 7-day disabled list. January 20, 2017 RHP Steve Geltz assigned to Oklahoma City Dodgers. January 3, 2017 Los Angeles Dodgers signed free agent RHP Steve Geltz to a minor league contract and invited him to spring training. December 4, 2016 RHP Steve Geltz elected free agency. December 2, 2016 Milwaukee Brewers sent RHP Steve Geltz outright to Colorado Springs Sky Sox. November 28, 2016 Milwaukee Brewers claimed RHP Steve Geltz off waivers from Tampa Bay Rays. November 18, 2016 Tampa Bay Rays designated RHP Steve Geltz for assignment. September 6, 2016 Tampa Bay Rays recalled RHP Steve Geltz from Durham Bulls. August 31, 2016 Tampa Bay Rays optioned RHP Steve Geltz to Durham Bulls. August 29, 2016 Tampa Bay Rays designated Steve Geltz for assignment. August 28, 2016 Tampa Bay Rays recalled RHP Steve Geltz from Durham Bulls. June 25, 2016 Tampa Bay Rays optioned RHP Steve Geltz to Durham Bulls. June 17, 2016 Tampa Bay Rays recalled Steve Geltz from Durham Bulls. May 23, 2016 Tampa Bay Rays optioned RHP Steve Geltz to Durham Bulls. September 1, 2014 Tampa Bay Rays selected the contract of Steve Geltz from Durham Bulls. August 31, 2014 Durham Bulls placed RHP Steve Geltz on the reserve list. June 26, 2014 Durham Bulls activated RHP Steve Geltz from the restricted list. May 5, 2014 Durham Bulls placed RHP Steve Geltz on the restricted list. February 3, 2014 Tampa Bay Rays invited non-roster RHP Steve Geltz to spring training. March 27, 2013 Tampa Bay Rays traded RHP Dane De La Rosa to Los Angeles Angels for RHP Steve Geltz. March 27, 2013 RHP Steve Geltz assigned to Durham Bulls. March 26, 2013 Los Angeles Angels sent Steve Geltz outright to Salt Lake Bees. March 4, 2013 Los Angeles Angels optioned Steve Geltz to Salt Lake Bees. October 4, 2012 Los Angeles Angels recalled Steve Geltz from Salt Lake Bees. August 18, 2012 Los Angeles Angels optioned Steve Geltz to Salt Lake Bees. August 11, 2012 Los Angeles Angels selected the contract of Steve Geltz from Salt Lake Bees. August 2, 2012 Steve Geltz roster status changed by Salt Lake Bees. June 1, 2012 RHP Steve Geltz assigned to Salt Lake Bees from Arkansas Travelers. May 11, 2012 Steve Geltz roster status changed by Arkansas Travelers. March 6, 2012 RHP Steve Geltz assigned to Los Angeles Angels. July 4, 2011 Arkansas Travelers activated RHP Steve Geltz. June 20, 2011 sent RHP Steve Geltz on a rehab assignment to AZL Angels. June 14, 2011 RHP Steve Geltz suspended. April 12, 2011 RHP Steve Geltz assigned to Arkansas Travelers from Salt Lake Bees. April 6, 2011 Steve Geltz assigned to Salt Lake Bees from Arkansas Travelers. March 9, 2011 RHP Steve Geltz assigned to Los Angeles Angels. August 31, 2010 Steve Geltz assigned to Mesa Solar Sox. July 23, 2010 Steve Geltz assigned to Arkansas Travelers from Rancho Cucamonga Quakes. April 29, 2010 Steve Geltz assigned to Rancho Cucamonga Quakes from Orem Owlz. April 6, 2010 Steve Geltz assigned to Orem Owlz from Rancho Cucamonga Quakes. May 1, 2009 RHP Steve Geltz assigned to Rancho Cucamonga Quakes from Orem Owlz. June 20, 2008 Los Angeles Angels signed free agent RHP Steve Geltz to a minor league contract.